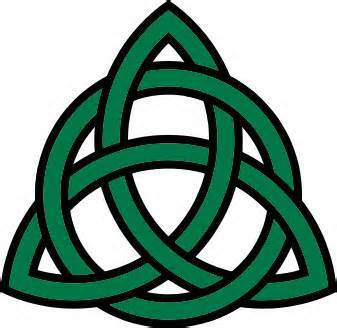 This past Sunday was Trinity Sunday for many Christians, very often the day of the year when the Trinitarian nature of God and Christian theology are most clearly discussed. This post reflects on how the early Church grappled with the complexities of Trinitarian theology. 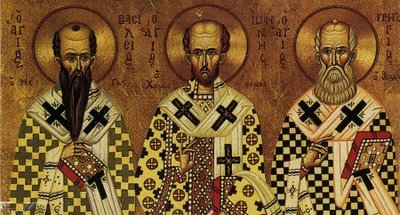 The doctrine of the Trinity–espoused by the Cappadocian Fathers as “God is one object in Himself and three objects to Himself”–is commonly understood to be one of the more difficult concepts to grasp in Christian theology. Much of Early Church history revolved around debates concerning the Person of Jesus Christ and His relationship to the Father, and doctrine concerning the Holy Spirit was often not explicitly discussed. However by the time of the Cappadocian Fathers and Augustine, an explicit doctrine of the Trinity was emerging in Christendom (Kelly, 252). In her essay entitled “Why Three?” Sarah Coakley engages the Maurice Wiles’ perspective on the Trinity as espoused in his The Making of Christian Doctrine. Coakley begins by noting that Wiles sought to “give a rational defense to the doctrine of the Trinity based on religious (Christian) experience.” In her essay, Coakley seeks to answer what has become the pertinent question in Trinitarian doctrine: “‘Why three?’ Why indeed ‘hypostatize’ the Spirit at all?” Whereas Wiles, in The Making of Christian Doctrine, was “misleadingly stringent” in questioning the ‘hypostatization’ of the Spirit in the Trinity, Coakley seeks to justify “the Spirit’s distinct existence on the basis of experiential claims” and answer the question of how the Spirit’s role was transformed from that of apparent bystander in the Christological debates into the third member of the Holy Trinity. Coakley begins her defense of the Trinity by observing and commenting on modern approaches to Trinitarian typology. Scholars such as Schleiermacher have asked, Why make “God-in-God’s-communication-to-the-world” a personally distinct hypostasis at all? Answering this query are three modern schools of Trinitarian thought: those espousing an economic Trinity, those advocating a reflective Trinity, and defenders of a prototype Trinity. The position of the economic Trinity portrays the Holy Spirit as ‘immanent’ and as solely the completer and communicator of revelation. However, this view assumes that the Holy Spirit is God and simply designates the purpose of the third member of the triad, while remaining almost wholly silent as to why the Spirit is to be considered wholly divine. The position of the reflective Trinity relies heavily on gleaning the role of the Spirit from the narrative of Christ on the cross. In this view, the role of the Spirit is to unite the Father and the Son. However, this view also assumes the deity of the Spirit and simply suggests his purpose. 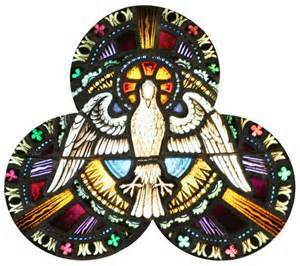 The explanation of the prototype Trinity is that of persons-in-relationship. In Coakley’s words, this is the view of Richard of St. Victor, who “argues not only that perfect love must occur in a relationship of perfect equality (requiring two persons) but also that such a relationship (if perfect) must necessarily be outgoing, overflowing to at least one other as a shared communitarian benefit (and so the ‘third’ is needed).” In this view, the perfect love of the Father and Son necessitates a third divine person. Building upon this view of a necessary third person, Coakley explains that the role of the Holy Spirit is as a means of incorporation into the Trinitarian life of God. She writes, “Here the Holy Spirit is construed not simply as extending the revelation of Christ, not even as enabling his recognition, but as actually catching up and incorporating the created realm into the life of God.” The Holy Spirit here is a transforming Spirit, that which graces creation with the gift and knowledge of God, “alluring and conforming that creation into the life of the ‘Son’.” Coakley goes on to explain that prayer is key to this understanding of God as Triune: “The ‘Father’ is both source and ultimate object of divine desire; the ‘Spirit’ is that (irreducibly distinct) enabler and incorporator of that desire in creation –that which makes creation divine; the ‘Son’ is that divine and perfected creation.” Prayer then is the experience which ultimately provides us with the evidence to profess a triune God. As Coakley rightly points out, this is valid experiential evidence which points towards hypostatizing the Spirit and understanding him as fully God. If prayer is that which we can point towards as experiential evidence for the existence of One God, Three Persons, Coakley rightly asks why this prayer-based argument for the Spirit’s distinct existence was never wielded by the early Church? Historian J.W.C. Wand argues that the orthodox belief of the early church included the deity of the Holy Spirit, as it was essentially argued along with the deity of Christ in the Christological debates and was held as popular belief among Christians. Yet as Rebecca Lyman argues that one cannot merely accept popular opinion as orthodoxy, for while popular belief in the church did play an important role in the defeat of Arianism, popular piety was a more divisive factor in later historical Christological debates, such as that between Cyril and Nestorius. 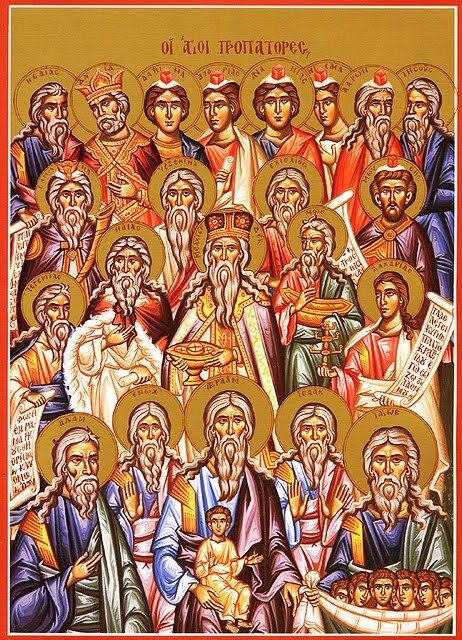 While one certainly cannot unwittingly conflate popular opinion as orthodoxy, the uniformity that existed between the orthodox Church Fathers and the general Christian population seems to indicate that worship and theology were intricately related in early Christianity, that belief and formalized doctrine were the same confession. Often times the “differences” in doctrinal belief were simply a matter of use of “mutually confusing theological terms.” Early Christians then used worship as the locus of their theological beliefs – how they worshiped is what they confessed. Coakley submits that even in the midst of the arguments of the Church Fathers for the full deity of the Holy Spirit, the catholic Christian Church “was characterized by a normative association of the ‘Spirit’ with charismatic gifts, especially prophecy.” Historical evidence seems to indicate a movement which relied too much on the deity of the Holy Spirit, perhaps even placing the role of the Spirit over the Father and Son, and presenting a form of extremely charismatic Christianity that provided for a Trinity with the Spirit as the head. Coakley writes that this movement likely caused spiritual backlash in the form of Montanism, which “gave the Spirit a bad name… [and] discouraged explicit or apologetic use of trinitarianism giving priority to the Spirit….” In extreme opposition to this position where the pneumatomachi (Spirit-Fighters) who rejected the full deity if the Spirit. 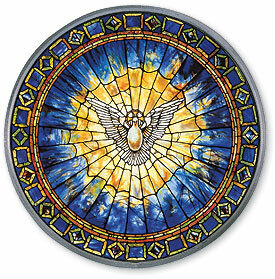 These opposite doctrinal extremes led to a mixing of belief in the Spirit, perhaps best represented in Origen, who believed that the Holy Spirit was both a transforming power (bestowed through spiritual gifts, baptism, and the Eucharist) and a guarded agent of God. Other historical evidence does support Coakley’s view of a prayer based argument for the deity of the Holy Spirit. Athanasius of Alexandria wrote, “We pray, therefore… ‘inasmuch as we partake of the Spirit, we have the grace of the Word and, in the Word, the love of the Father. '” Even though the formalization of Trinitarian doctrine by the Cappadocian fathers gave rise to a more hierarchical view of the Spirit within the Trinity, in the Early Church there was an importance placed on the Holy Spirit. While this may have been in part due to the effects of Montansm, there were other factors at work in the growing theological importance of a co-equal Trinity, as the argument for the divinity of the Holy Spirit was at least implicit in many of the Early Father’s arguments and contentions. For Coakley then, the question “Why three – why hypostatize the Spirit at all?” is answered by the argument from experience, specifically the experience of prayer, by which creation is conformed into life with the Father and the Son. The argument from this spiritual position was espoused by the Early Church Fathers, though their writings with concern to the Holy Spirit where strongly influenced by the Christological debates and the two distinct doctrinal schools concerning the person of the Holy Spirit. The arguments from Baptism and Scripture pointing towards the Trinity, while potentially persuasive, are ultimately support for the argument, as manifestations of experiential reality. In the end, Coakley believes that Wiles’ criterion of Scripture, Worship, and Soteriology in answering the Trinitarian question, while helpful in formulating the thoughts concerning the person and role of the Holy Spirit, are ultimately unsuccessful in defending the doctrine of the Trinity. While Wiles sets forth some excellent criteria for judging early Christian doctrine and its usefulness for today, he ultimately fails to provide a basis for some of the most important and formative doctrines of the Christian faith. In looking at the Christian tradition, one must remember that experience is important, as is an understanding of mystery; that is, that one cannot always simply comprehend and scientifically explain the incomprehensible and infinite. This does not mean that all scientific theological inquires are useless –much to the contrary. In looking at Christianity, one can (and must) find the reasonable, well-thought out evidences for belief, if only as a supplement for the faith which must provide the basis for relationship. As the Apostle Peter implores, the Christian must always be ready to provide a defense of the faith that they hold. This does not mean holding to blind faith, but it also does not entail requiring an entirely scientific base for believing in the triune nature of God, a belief that has ample evidence for profession. 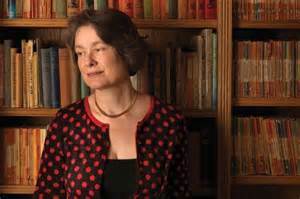 Sarah Coakley. “Why Three? Some Further Reflections on the Origins of the Doctrine of the Trinity.” The Making and Remaking of Christian Doctrine: Essays in Honor of Maurice Wiles . Ed. Sarah Coakley and David A. Pailin. Oxford: Clarendon Press, 1993. 30-31. See also Maurice Wiles. The Remaking of Christian Doctrine. London: SCM Press, 1974. 1-19. Ibid., 31. Ibid., 36. Ibid. Ibid., 37. Ibid., 37-38. Ibid., 39. This is especially perplexing given the suggestive basis of a passage like Romans 8. J.W.C. Wand. A History of the Early Church to A.D. 500. Fourth ed. London: Routledge, 1994. 173-178. Rebecca Lyman. “Lex orandi: Heresy, Orthodoxy, and Popular Religion.” The Making and Remaking of Christian Doctrine: Essays in Honor of Maurice Wiles. Ed. Sarah Coakley and David A. Pailin. Oxford: Clarendon Press, 1993. 132-135. G.L. Prestige. God in Patristic Thought. Second ed. London: SPCK, 1952. 242-244. J.N.D. Kelly. Early Christian Doctrines. Fifth ed. London: Continuum, 2009. 253. Coakley, 40. Ibid., 44. Kelly, 259. Coakley, 44-45. Cx. Ibid., 46. At least in practice, as I note here. . Coakley, 48. Ibid. Ibid., 49. Ibid., 49-50. Margaret M. Yee. Preface. A Science of God? By Austin Farrer. Second ed. London: SPCK, 2009. 4-7. See also Austin Farrer. The Glass of Vision. Westminster London: Dacre Press, 1948. 35-56.